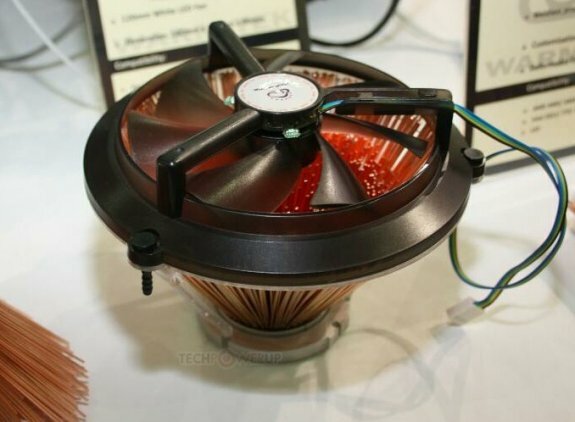 TPU noticed some special cooling solution from Warm Tek at Computex. The Blonde Hedgehog uses a design in which numerous copper rods bunch up inside a ring that makes up the base, where they make direct contact with the CPU's heatspreader. The cooler is also available in a version with nickel-plated copper pins. A fan then ventilates the bunch. 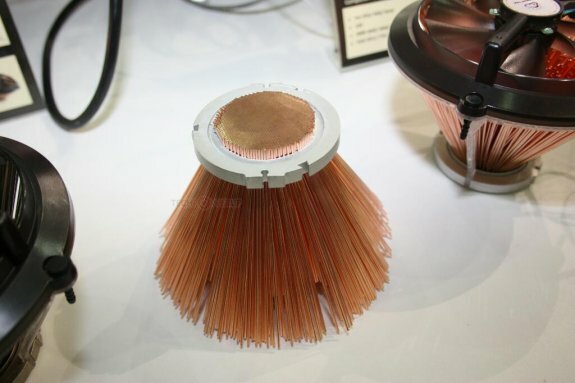 The copper rod design ensures extremely high surface area for dissipation, the down-flow of the air cools other components surrounding the CPU socket, as well. The rods are held together by pressure, and not welding. In fact, the designers are bragging about the design being weld-free. The design reminds us a little of the ancient Swiftech CPU coolers which used large numbers of helicoid pins. The Warm Tek Blonde Hedgehog C120 measures 140mm x 140mm x 90mm and uses a custom 120mm fan. 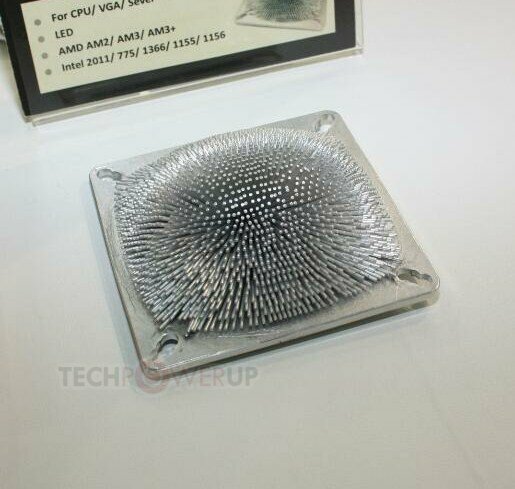 Warm Tek also showed the Baby Hedgehog, this is a 90mm x 90mm x 30mm version for low-power processors.